Power Fasteners Zip-It® 1-5/16-Inch Long wallboard anchor is suitable for use in hollow gypsum wallboard for light-duty loads. It features zinc construction. 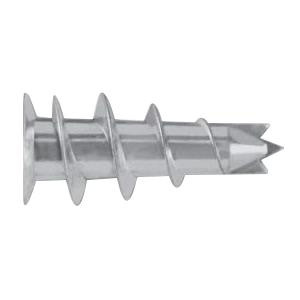 This wallboard anchor has thread length of 47/64-Inch and wall thickness of 3/8 - 1-Inch.